Godolphin, the global thoroughbred and horseracing team, was founded by His Highness Sheikh Mohammed bin Rashid Al Maktoum. Originating in Dubai, where a passion for horses has grown as rapidly as the city, Godolphin later branched out to the UK and Australia, making it a truly global company. Since its creation in 1992, Godolphin has won over 4,800 races worldwide, and its mission is to be the number one horseracing team in the world. Here at Fueltek, we are helping to make this ambition a reality. Fuel is used extensively in the transportation of racehorses around the world. However, it’s also needed for various jobs within the racehorse industry, from grass cutting and paddock maintenance to straw transporting. Godolphin previously used a fuel management system supplied from another manufacturer, but the system was unable to communicate effectively with the reporting software, resulting in several failures and miscommunications. When you are operating in an industry as vast as Godolphin, these issues can swiftly become incredibly troubling and costly. And with many of the locations being remote, there was no reconciliation between the pump and tank throughputs, creating an environmental concern. Fueltek was able to provide and implement an effective fuel management system. Godolphin’s main UK-based stable is based in Newmarket; the stable has the capacity for up to 115 horses and due to the relatively large-scale operations, fuel management at the facility is crucial. 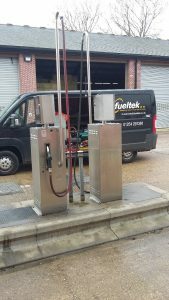 Fueltek has provided solutions with five tank locations, primarily at the Newmarket base, as well as a second site in Gainsborough. 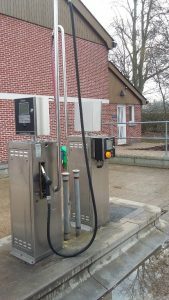 The product we installed as part of the Fueltek solution was the FT4000 system. The FT4000 is a fuel management solution and was used to support Godolphin; it was designed to interface with existing fuel pumps. The system has the capability to provide unlimited storage capacity, and its versatility makes it one of the most effective fuel monitoring systems on the market today. In addition to the FT4000, we installed TankWatch for Godolphin, which serves as the perfect complement to the FT4000. The integrated contents gauge was implemented to cost-effectively measure tank contents and provide alerts if unusual stock movements were detected. TankWatch is a complementary component to the FT4000 system, and either can be used individually or together. Both the FT4000 and Tankwatch report back through Fueltek FMO cloud based fuel management and reporting software. Fueltek FMO offers a flexible and user-friendly interface and is multi-user and multi depot. Fueltek FMO enables management functions such as pump disable, datatag lockouts and the simple introducing of new drivers or vehicles to be clear and easy-to-follow. The system can provide concise, understandable reports regarding fuel usage with the minimum of effort; reports can be scheduled and run automatically if required. 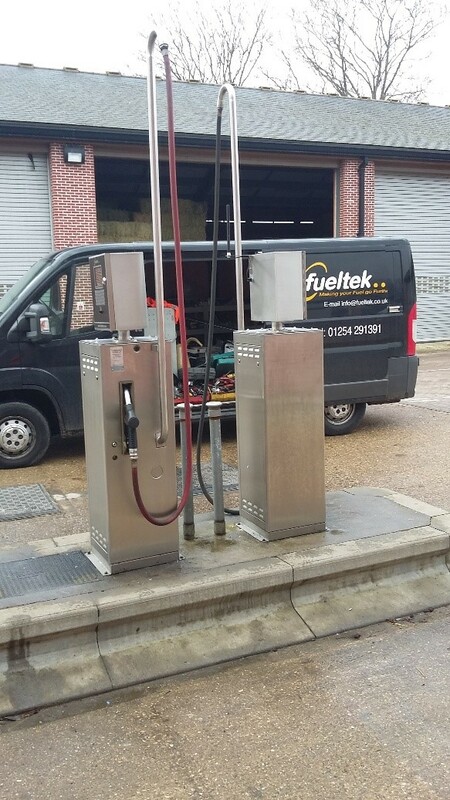 Here at Fueltek, we have helped several large companies with their fuel management by offering our range of fantastic products, from storage tanks to fuel pumps. Regardless of your industry, we can provide effective fuel management solutions to your business. To find out more, get in touch with us today by calling 01254 291 391 or by emailing us at sales@fueltek.co.uk.